The Payment Systems and Services law, which was passed by Parliament last year, will allow innovation to thrive in the growing financial technology (fintech) space, Andrew Takyi-Appiah, an industry player, has said. “The law will allow innovation to thrive in the market; and it is a testament of Nana Akufo-Addo’s belief in the youth and the fintech ecosystem, and so it is a good thing,” Mr. Takyi-Appiah, who is CEO of Zeepay – a fintech company, said at a press briefing to launch a promotion marking the company’s fifth anniversary. He added that apart from allowing innovation to thrive, the law will also help industry players articulate the entire eco-system’s direction and know who the players, regulators, competitors are. “Now that it has been passed, it will create a level playing field and everyone will know which supervisory element or level it belongs to. In a free market economy, you must allow the markets to play together; and the markets must be allowed to play from an opportunistic perspective, rather than monopolistic perspective because from an opportunistic perspective, players will be building upon opportunities found,” he added. Introduced by the central bank last year, the Payments Systems and Services Act seeks to further strengthen the country’s payment system. Its passage into law is expected to further improve the regulatory environment and provide additional support for emerging digital financial services while minimising related threats associated with financial inclusiveness. 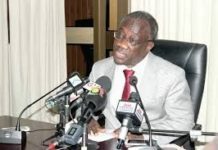 Dr. Ernest Addison, Governor of the Bank of Ghana (BoG), explained that the new law will among others make provision for emerging payment streams: such as electronic money, prepaid cards, credit cards, electronic platforms and payment instruments. 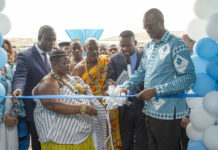 It will also provide for non-banks to establish, own and manage electronic money business in the form of a separate entity to be supervised by the Bank of Ghana, as well as promote the availability and acceptance of electronic money and other forms of payment services as retail payment media.